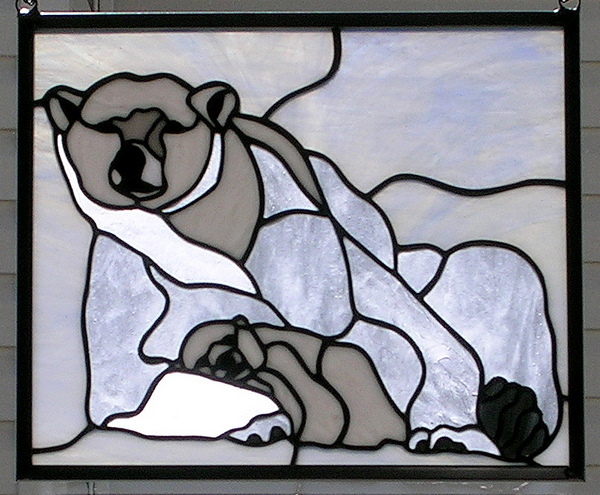 A local client who’s dad loved polar bears wanted to give him a small polar bear panel. The design originated from Paned Expressions Studios Inc on their pattern disk titled “Nature’s Bounty” – “Polar Motherhood”. 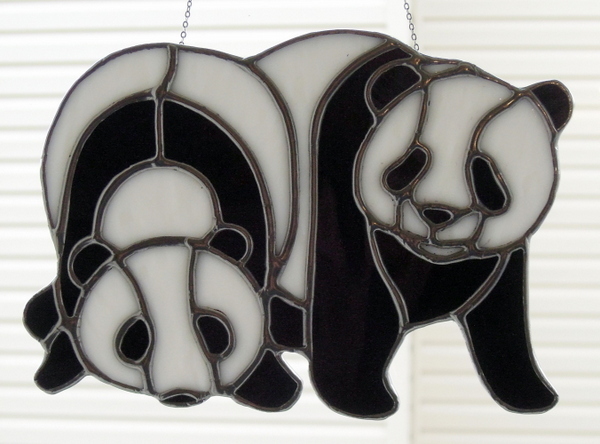 We used the bears design while putting them in a panel that measured 10 inches high by 12 inches wide. The original panel design measured 2 ft wide by 3 ft high. 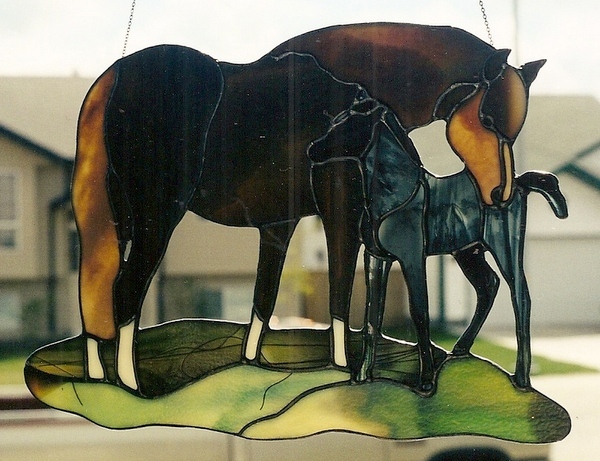 The glory of springtime when one drives our Alberta country side and the joy of seeing a mare with a new born foal. 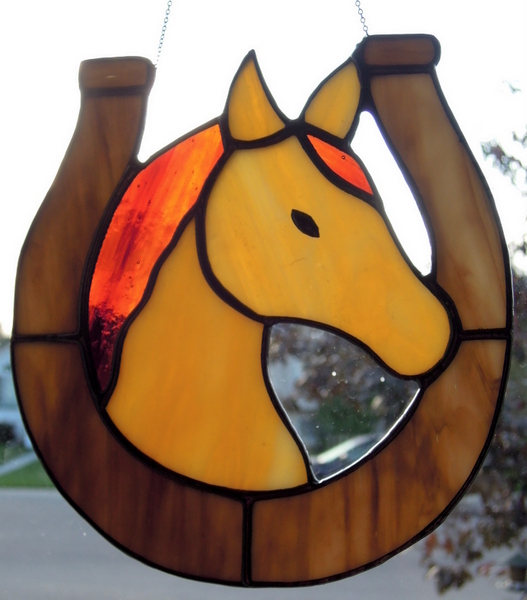 We made this suncatcher many years ago for year round enjoyment. 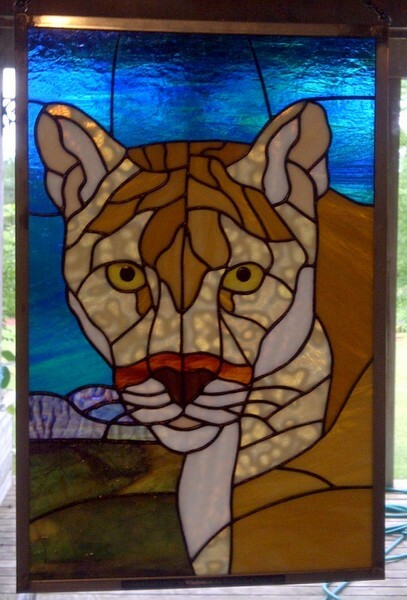 Many years ago we made this Mountain Lion for clients in Ontario, they just sent a new picture showing the panels relocation in their country home north of Toronto.